others to live to their fullest potential. The learning approach for the course is “learning by doing” versus the student passively listening and observing the facilitator. 1) The Campus Course uses a Peer Group learning format (not a fish-bowl learning tank with the Facilitator doing all the work). Each student is therefore encouraged to use the knowledge, skills and experience of other group members as resources for their own learning and in turn generously share their own understandings and reflections with others. The focus will be small group role plays and other exercises (directed and participated in by the facilitator) which are meant to provide you an understanding as to how you can apply the technology and methodology in your life / practice / workplace. 2) You will gain new learning experiences and insights by working with your peers and using the techniques introduced in the break-out exercises. Biofeedback TECHNOLOGY (Hardware eg; Muse) -How to use it in the coaching process! The SCIENCE -Why it works! -"the secret of our life." Plus: Guide Notes, Case Studies, Example Interventions and Exercises.. Helping People Fulfill their Potential, move to their Next Level and build a better tomorrow.. 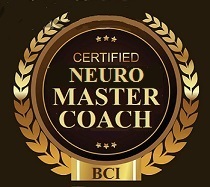 This easy to follow, step-by-step, accelerated credentialing course provides you the methodology (neuro coaching model) to use with neurofeedback technology (hardware) that enhances productivity, creativity, greater resilience, well-being and helps people create a desired future. → Understand the role of the brain in creating and maintaining behavioral habits and how to change it!. → Learn how to use proven, validated neuro change models to best-fit the particular situational needs of a person that will achieve sustainable, measurable change. → Learn how to help a person maintain positive change that leads to greater life satisfaction. We all face confounding daily life challenges in our world us..
No one has mastered all the skills of successful living and each of us has habits, certain performance levels and traits we wish to modify. Over the last several years ground-breaking research from the field of neuroscience and other scientific disciplines has uncovered what strategies are most effective in creating change and which ones to avoid. Emerging research also points to key ways to promote a person’s fulfillment of their potential and a more satisfying, happier, healthier life. In short, you will learn how to (in easy to follow steps) help all people (no matter their age or position) transform their life by building a better future for themselves. In Search of our True Self. The "True" Self is the final level of awareness, it is like the eye of a hurricane, peaceful, harmonious, and averse of dominating emotion. This center of contentment is surrounded by the turbulence of the conscious mind. We cannot locate the source of our self as our brain does not have a specific location associated with the self. It is simply the height of sensitivity or state of mindfulness where one is aware of what is happening as opposed to letting things dwell and be driven in the semi- consciousness. Gaining Awareness allows us to to clearly see what is in front of us and make decisions that brings us closer to fulfilling our potential and purpose of being. Most people believe that the little voice in their head is who they are and what it is saying is the "truth". They are wrong! Our brain is a biological machine/computer/CPU. Now. what if I told you that a 5-year-old "you" wrote the machine code that is running your life as an adult! The latest brain research confirms that the programming of your mind gets written when you were 3 to 5 years old! Life / learning experiences in these early years’ help shape our well-being and our executive skills (located in the brain’s frontal lobe) which regulate decision-making, problem-solving and behavior. As might be expected, a 5 year old does not produce the most sophisticated software. Even worse, they do not need to program the "truth"--but, rather use perception, misconception, myths, etc. The good news is that we can change our adult brain and continue its development with a scientifically proven Neuro Change Model and intervention tool (neurofeedback technology/hardware). 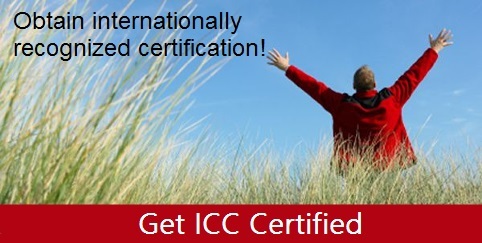 Drawing from the latest studies in the exciting, new, scientific fields of neuroscience, quantum physics and brain-based learning this unique certification course provides the knowledge, skill sets and proven, cutting- edge tools that will enable you (the cerebral software engineer/developer or programmer -for want of a better description) to help yourself and people (from all walks of life –young and old) to manage their “software” to update and control their brains and generate exciting, productive, happier lives. Note: We still have a long way to go to figure out exactly how our brain works and how to best operate it for optimum results. And clearly the brain is obviously not like a Macintosh or a PC but it is a type of biological machine we are still learning about. That said, machine code can be updated and upgraded and Apple and Microsoft provide software patches to fix "bugs" and add additional features. And now, with the aid of the latest breakthroughs in neuroscience, you too can do the same for yourself and your client’s mind! -Can an organization grow smart people? A: The simple answer is;- of course we can. If we didn't think training programs could help people better perform their jobs, why would we spend billions of dollars a year on corporate training? That said, skills training is only the first baby step. Having people develop superior cognitive skills obviously makes them economically more valuable to the enterprise. Today’s challenge for business therefore is how to redeploy much of the existing training investment in business, toward foundation personal skills (i.e. basic mental competence) rather than just teaching job position skills and motivation programs. Q: Can We Train Brains? -Firstly. Here are two key myths that need to be acknowledged. • Myth #1: Intelligence is basically fixed - a gift, or a genetic endowment that can't be changed. Your IQ defines your potential in life. And a person who arrives at young adulthood is about as smart as he or she is ever going to be. • Truth #: The human brain is not a "finished product." Neuroscience has now taught us that we are all "works in progress" and capable of changing / developing our brain. • Myth #2: Brain power is basically a matter of IQ. The higher your IQ, the more successful you'll be in life, and the lower your IQ, the less successful you'll be. 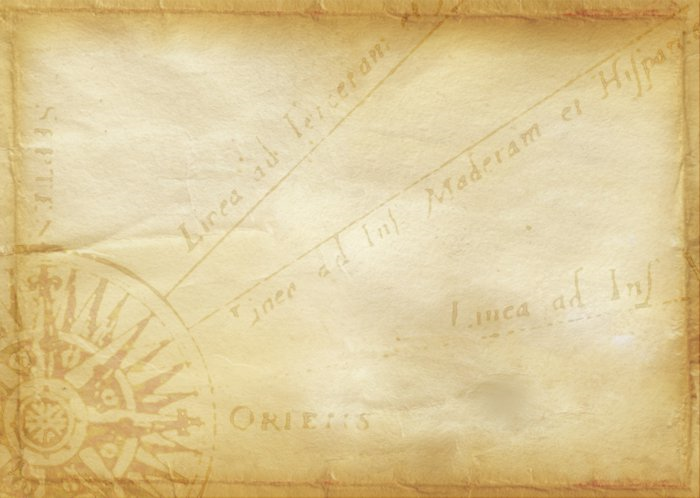 • Truth #: Brain power is only loosely connected with IQ. Brain power is the capacity to learn how to use one's mental resources - whatever they may be -to best advantage. we think’ --foundation skills training such as: brainstorming and creative idea production, information/mind mapping, understanding thinking styles, memory etc). The key question about brain exercises is whether doing them makes you smarter, or just better at doing the exercises. Today, the fields of neuroscience and quantum science allow us to go well beyond just a cognitive approach (just changing how we think)! -YES! We can train /change our Brain to drive a new desired future! Exciting new findings from neuroscience can now be directly translated into learning and development strategies to make people smarter and better at what they do. Neuroplasticity and the "modular mind" concept provide us a much clearer and better understanding of the nature of the brain and how to train it. The ongoing breakthrough research in the field of neuroscience provides us a blueprint how to teach people to easily access their brain and mind to obtain more sustainable, favorable outcomes. Most change agents take a costly, time intensive cognitive approach (via training, traditional coaching or therapy) that only provides limited results (50% to 60% success rate even when delivered by qualified psychologists). Building Smart Organizations -"Success is never final"
We can define organizational intelligence as the capacity of an enterprise to mobilize all available brain power and to focus that brain power on achieving its mission. Q: What do Lloyd's Bank, Sony, Singapore Civil Service College, Hong Kong University of Science and Technology, Toyota, Bank of New York, CitiBank, Singapore Civil Service College, GE, McKinsey & Co., Ernst & Young, US Department of Defense, Walt Disney World, Mt Sinai Hospital, Pfizer Global Pharmaceuticals and Motorola have in common? A: Our internationally recognized, Master Coach Courses (with graduates from over 60 countries) uniquely provides people developers, like you, the necessary proven models/tools to: - release the potential of anyone and coach people to enhance their mental skills. And, as noted above, we have supplied change methodology to many of the top organizations in the world. The Institute's unique course translates the latest brain science research into simple, actionable strategies for achieving peak performance, creativity, optimum mental health and enhanced wellbeing.